Hard to believe now but this 1950's contemporary house was very controversial for its leafy suburb when built. It featured in a 1961 edition of Homes & Gardens. 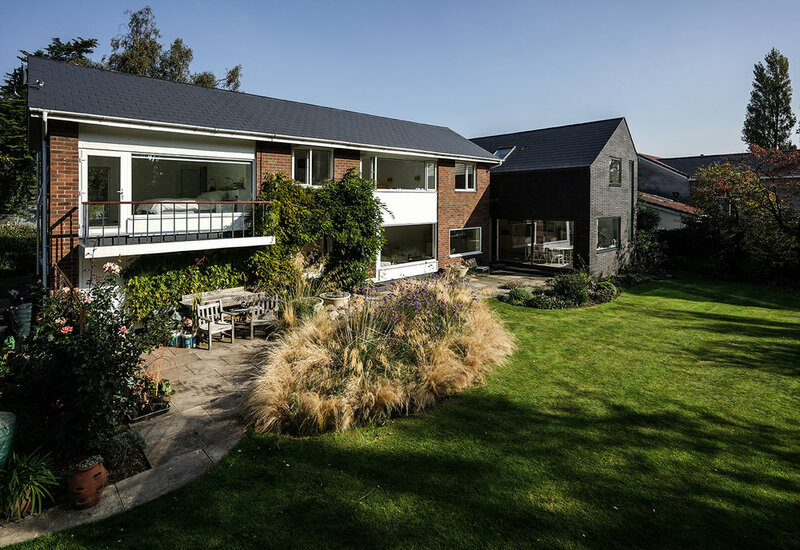 The project brief was to create a strikingly contemporary extension to provide additional entertaining and guest accommodation, without undermining the integrity of the original house. The dark material palette and asymmetrical roof create a strong contrast with the existing house, whilst the internal spaces flow seamlessly from old to new.